Easy to carry and easy to adjust. Just unfold it and take a seat. 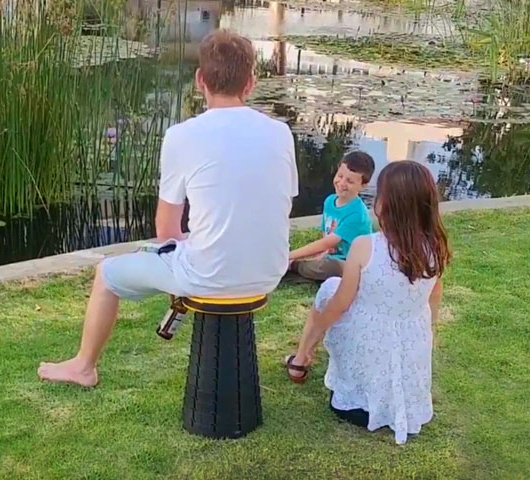 The Mini Max stool was created to make everyday life a little easier for millions of people by helping them do something very simple that makes a huge difference: take the load off their feet. have an opportunity to close a gap in the market with a respected brand that’s already been proven successful in the international market. abundance of industries and usages. Early warning cardiac alert monitor. Portable, user friendly and accurate. FDA approved. Low cost, disposable, radiolucent, and expandable retractor for spinal surgery. Fully developed with 4 Patents. Keyless lock, based on existing Standards. Offering its operation By electronic code, biometric stamp, Cell phone, bluetooth or an old fashion safe. Totally dry treatment for hair lice And lice eggs Treatment is very simple. Company is traded in the OTC in US. 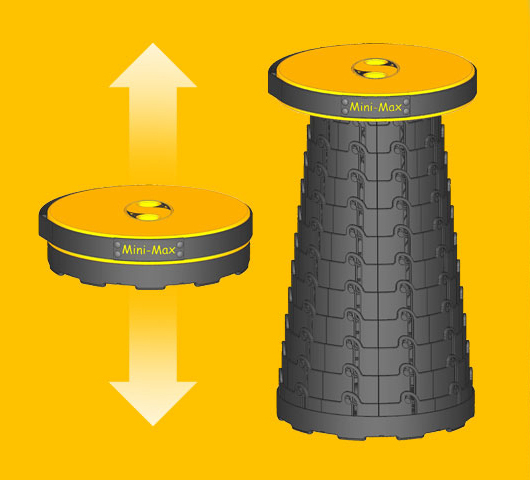 A multi-purpose stool – Easy to carry and easy to adjust. Just unfold it and take a seat. Skin solution to keep your body refreshed and awake. Contains only natural herbal ingredients. Develops innovative playground devices that combine play with learning, teaching children about the universe, the laws of physics and the environment. The MAGIC SHELF is an instant Corner Shelf solution, which requires no tools or hardware to assemble.